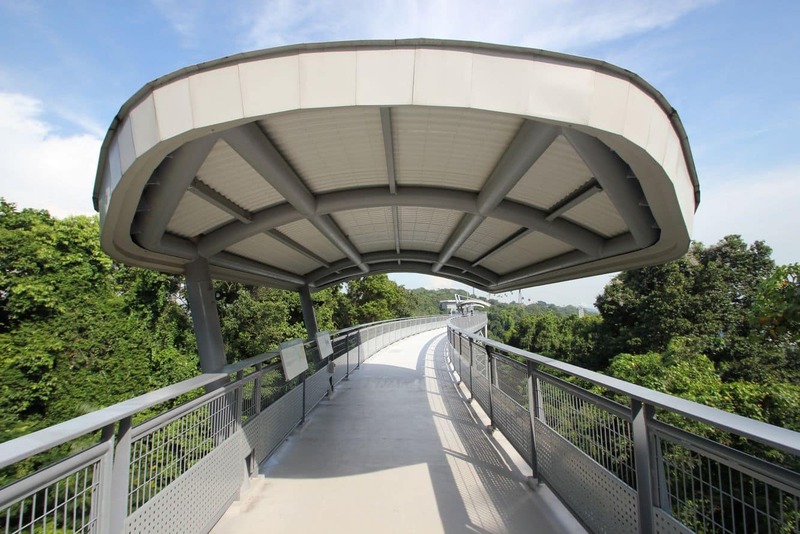 The Sentosa Fort Siloso Skywalk is an 11-storey elevated trail that provides visitors with a unique opportunity to enjoy a scenic trek on the way to Fort Siloso. 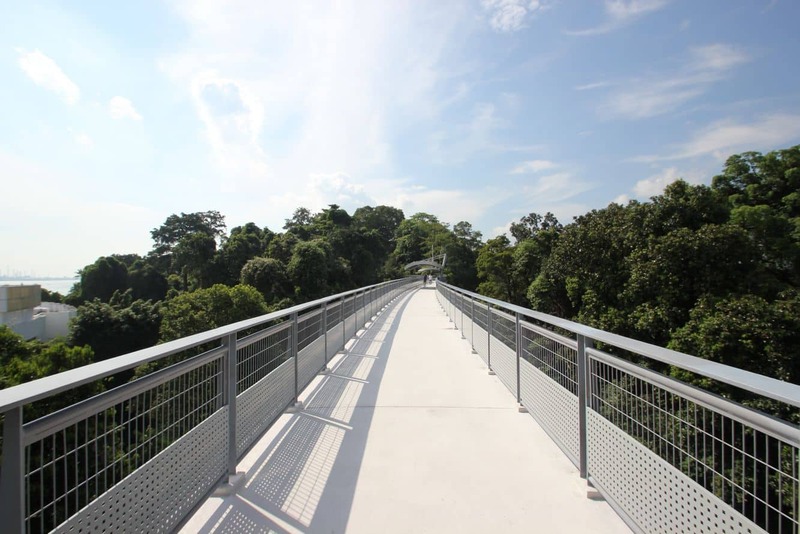 The 181-meters walk is one of the most charming attractions in Singapore, and is a picturesque way to enjoy a bird’s eye view of the fort. 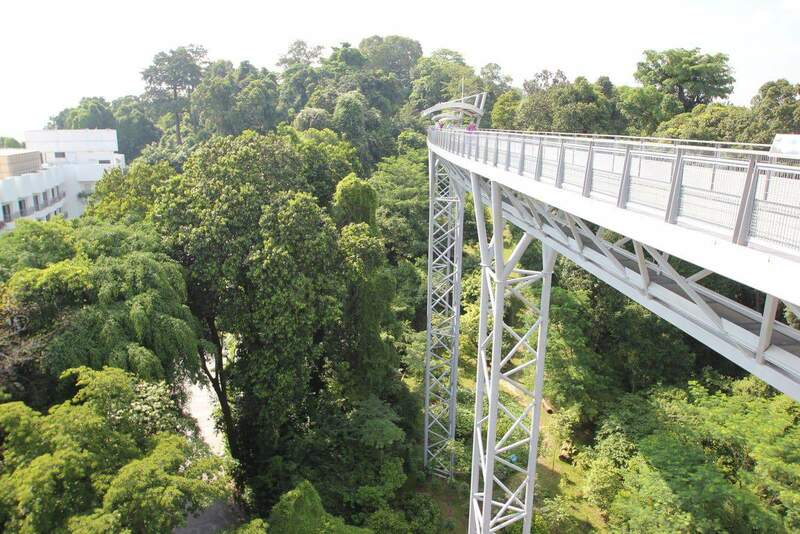 The scenic trail leads above the canopy treetops before visitors get to the Fort. 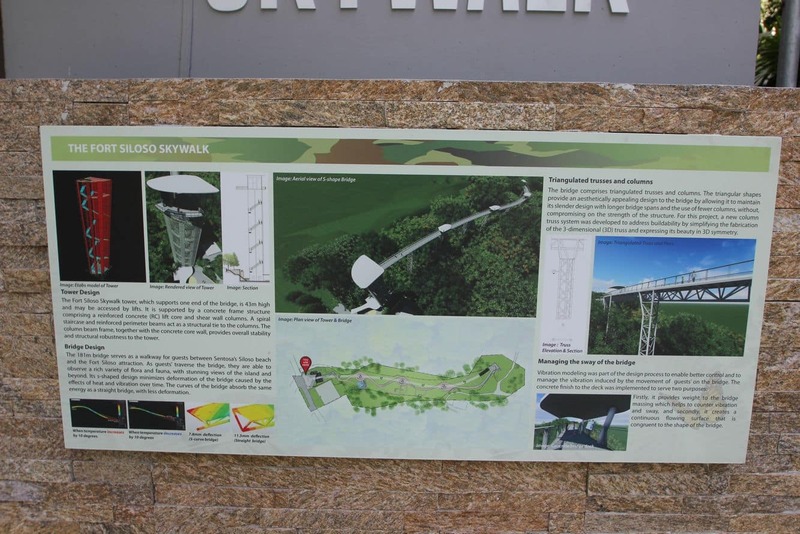 Start off at the entrance which is located just a few minutes from the Siloso Point Cable Car Station. Alternatively, look out for the entrance to the Shangri-La Rasa Sentosa Resort and you should be able to spot the start of the skywalk. Elevator services are available, but if you feel fit and are enthusiastic about enjoying views while you get your cardio workout done, then take the stairs. You will be treated to spectacular views as you ascend, and it is not unusual to find people taking photographs and selfies. 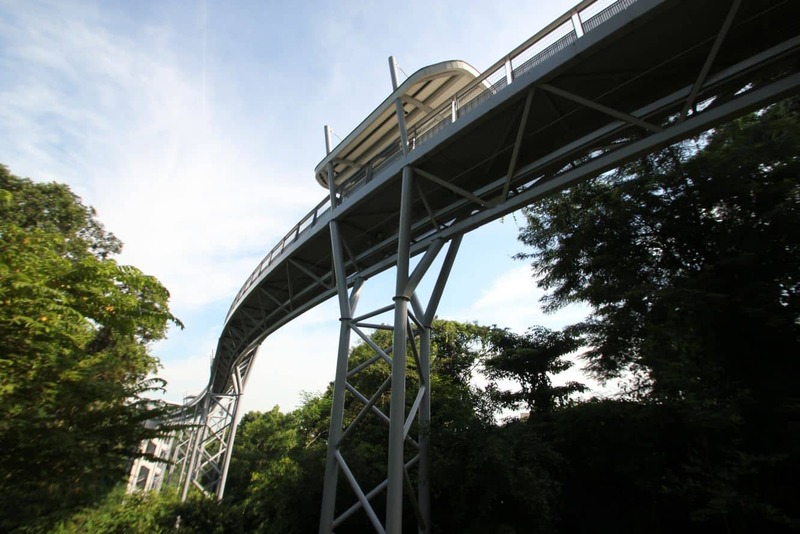 181 metres later, you will be welcomed to magnificent views of Sentosa. Begin the beautiful trek among the tree canopies and marvel at the diverse flora and fauna that this region boasts. If you have a keen eye, you may even spot a few squirrels and different bird species. 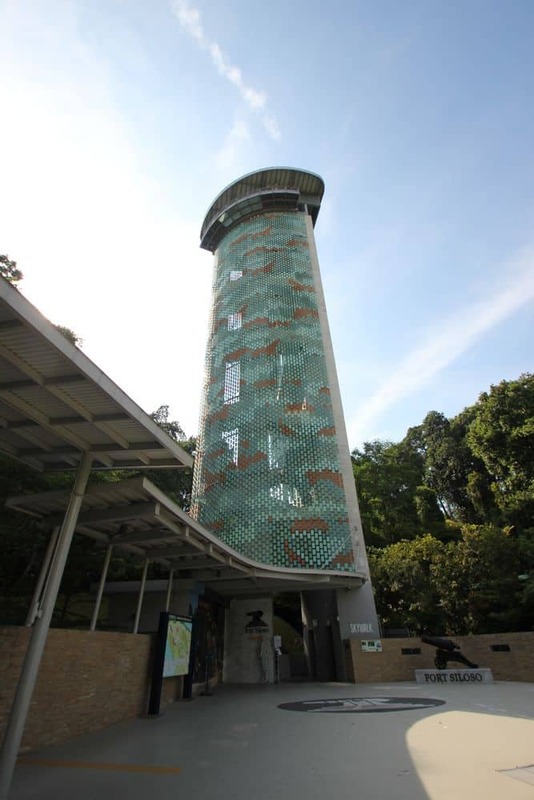 The Sentosa Fort Siloso Skywalk may prove tricky for visitors with a phobia for heights, partly because the some of the floor of this amazing trek is glass-bottomed. Along the trek, are panels containing information on the fort’s rich history as well as key places in the surrounding region. This is a perfect way to learn more about the fort. For interested visitors, there is also the option of guided walks for a more detailed trek. 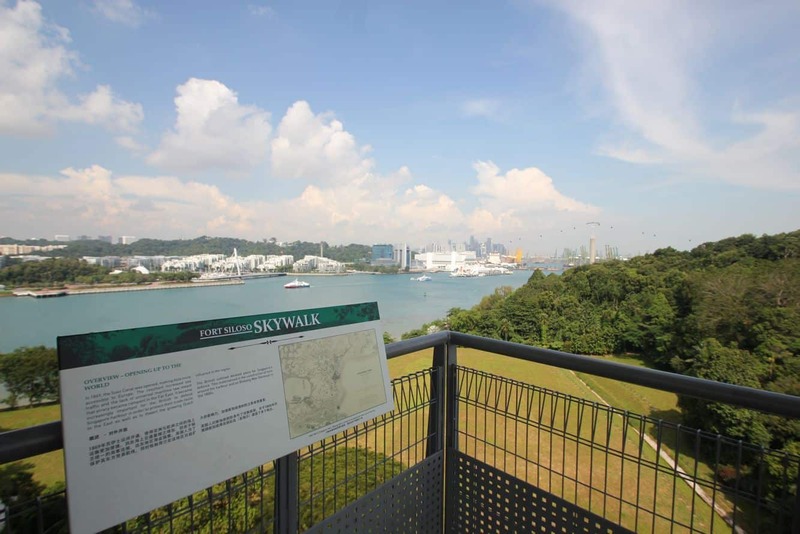 All in all, the skywalk trek takes about 10 minutes from entrance to exit, and will treat you to some of the most beautiful views of Sentosa. The trek is accessible, making it suitable for strollers, young children as well as for wheelchair users. 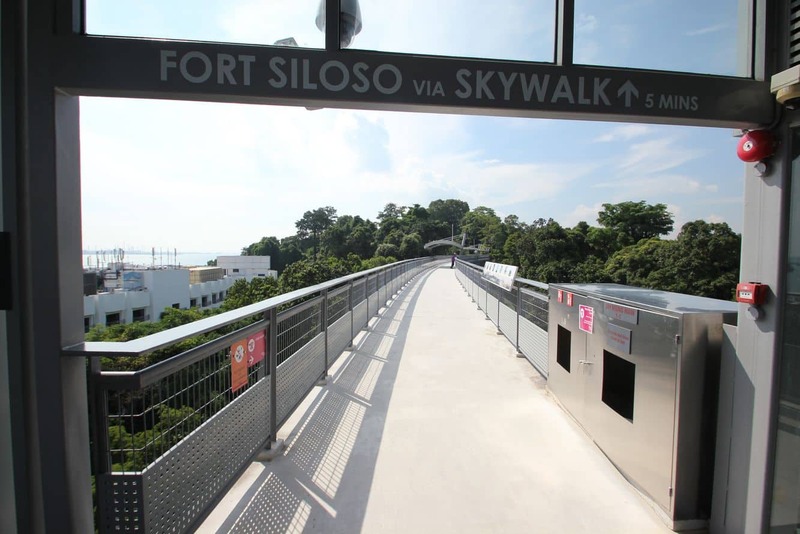 Entry to Sentosa Fort Siloso Skywalk is free.